1984, was a good year for me. At least those parts I can still remember. I was a healthy 34 years old and working my way up the American Dream by owning multiple businesses with my wife and watching my beautiful daughter grow ever more beautiful. Ronald Reagan was our president and even though I was not a big fan I had faith in the man who was Governor of California and has an overwhelmingly positive charisma that had people have a positive view on the future of their nation and family. One thing I never thought I would do or have the capacity to do was go back to a date I had already survived. It is so much different now. I never had a problem with my skin but with today’s political realities I look at an image of my face filled with blemishes. Gone is the excited light in my eyes filled with hope and pride. Most would say this is caused by age. I believe it is caused by the “1984” philosophy of Donald J. Trump. Many of my friends have replaced an excitement for the future with a despair that we will never be able to come back to where we used to be. I first read George Orwell’s”1984” when I was at school in the late 1960’s. I enjoyed it because it was an easy read whose premise was fiction. I knew we lived in the land of the free and even though we were involved in what I thought was an illegal war we were still allowed to protest it. I also thought “1984” had more to do with east block communist countries or banana republics that were destined to fail because democracy was the bridge to freedom and equality. I liked my world back then and was looking forward to an even better one. Since for the past week I’ve been battling a flu or as I like to say battling old age I found an old paper back copy of George Orwell’s novel. Sitting at my desk I notice that my left foot seemed larger than my right one. This made no sense but I figured what the hell. Reading through the short novel a few lines made more sense now than when I read them decades before. “If you want to keep a secret, you must also hide it from yourself.” I started to wonder if Orwell traveled through some sort of time machine in order to meet our new press secretary Sean Spicer. Orwell’s statement clearly defines the philosophy of Trump’s spokesman. I leaned back into my desk chair in the hope that my newest headache would go away. I thought of throwing the book back into the dusty bookshelf that hasn’t been browsed through in decades when I took the chance to read another paragraph. “He who controls the past controls the future. He who controls the present controls the past.” In other words, Orwell predicted history would evolve from being linear to a dangerous carousal. Nothing makes sense anymore because what happened in the past basically is going to dictate our present. I found myself shaking my head back and forth annoyed I now understood what Orwell was predicting. I couldn’t believe how brown and fragile the pages of my book looked now that I decided to re-read what I always thought was a favorite novel. Skimming through the yellowed pages I noticed drops of tears pop into the text. I don’t think I was crying and I assumed the tears came from this damn flue I was suffering through. At least I hoped they were. 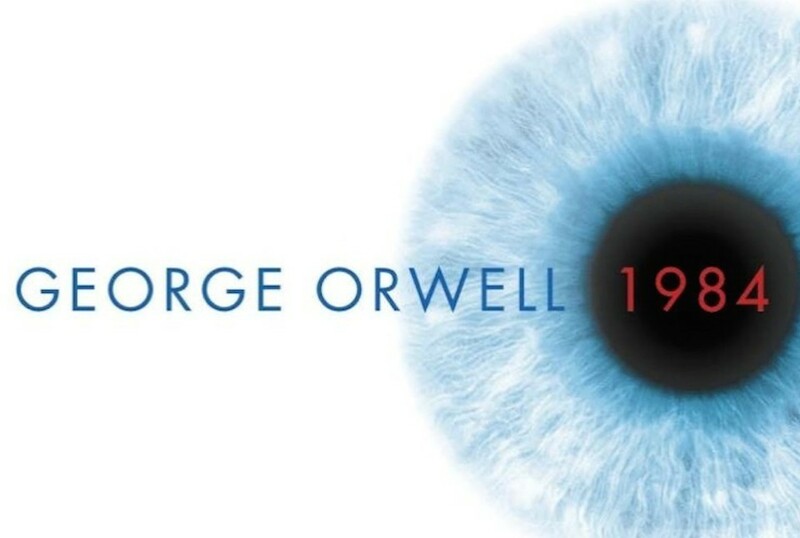 Looking past the stains I focused on a new concept that made Orwell fall into oblivion during the past few decades but now made it remarkably relevant. “The choice for mankind lies between freedom and happiness and for the great bulk of mankind, happiness is better.” How could George Orwell understand the realities of our present from a work he published in 1949? Now holding my head in both hands I overhear my television spewing off the multiple stories ranging from Syria, Iraq, Iran, North Korea, Yemen, Russia, Ukraine, and some other nations I never wanted to understand. In fact, it is so much information delivered so fast I believe few will be able to differentiate between them. I now have enough of this exercise remembering the past in order to understand the future. I pick up my ratty old book and toss it against the bookcase hoping to demonstrate I have more power in my mind that in the pages of a 69 year old manuscript. Of course it bounced off other books I had stored for reasons I don’t understand and found it opened to a page that had one paragraph high-lighted. I must have done it decades before and the bright yellow background had long since devolved into gray smears. At first I thought to just put the book away but there could have been a bit of Karma directing me to read what, as a young man found important. “For, after all, how do we know that two and two make four? Or that the force of gravity works? Or that the past is unchangeable? If both the past and the external world exist only in the mind, and if the mind itself is controllable – what then?